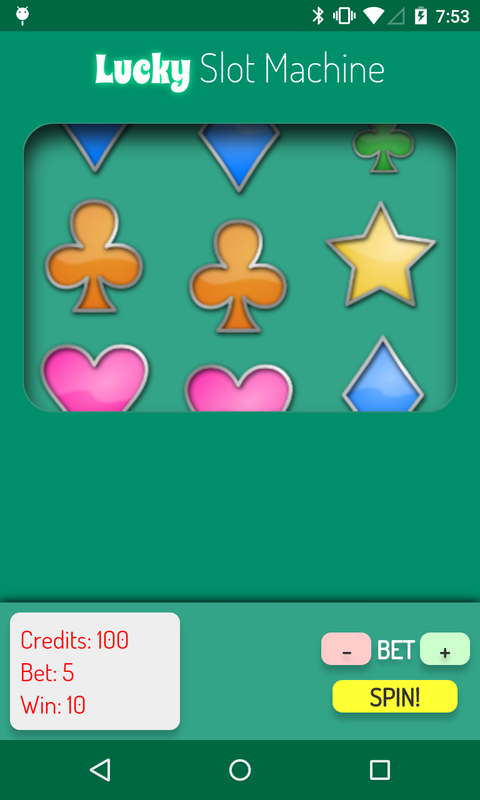 Lucky Slot Machine is a fun and free game modeled after a Casino slot machine. The slots have a fun luck theme! You play the slot machine by first setting your bet (in 5 dollar increments) and then tapping on the spin button. If the slot machine matches two symbols, you win double your bet. 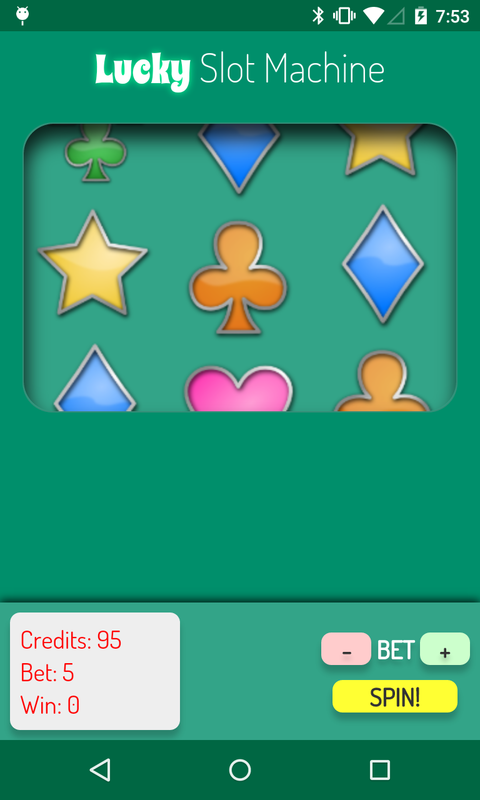 If the slots match all three symbols, you win quadruple the money that you bet! These are the luckiest slots on the market. And the best part about this slot machine, it is totally free! At no point will the game ask you to pony up more money to continue playing. If you run out of in game money, just quit the app and open it back up! 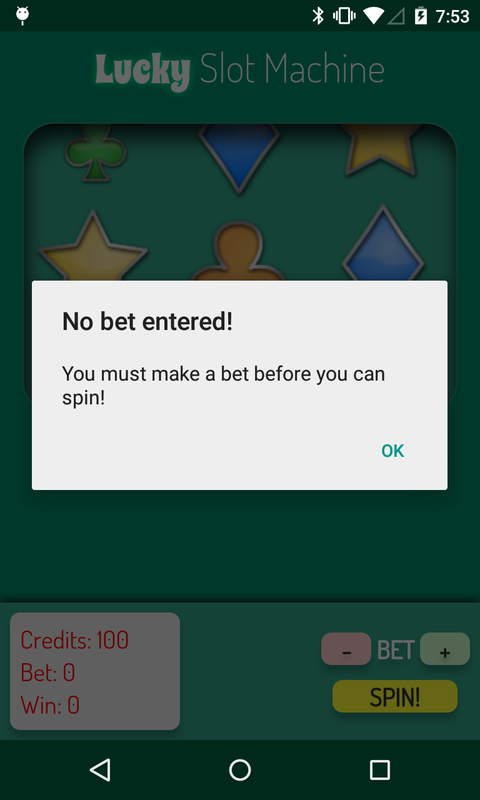 Don't fall for the other slot machine apps that require you to make in app purchases to keep playing. Lucky Slot Machine is and always will be totally free! 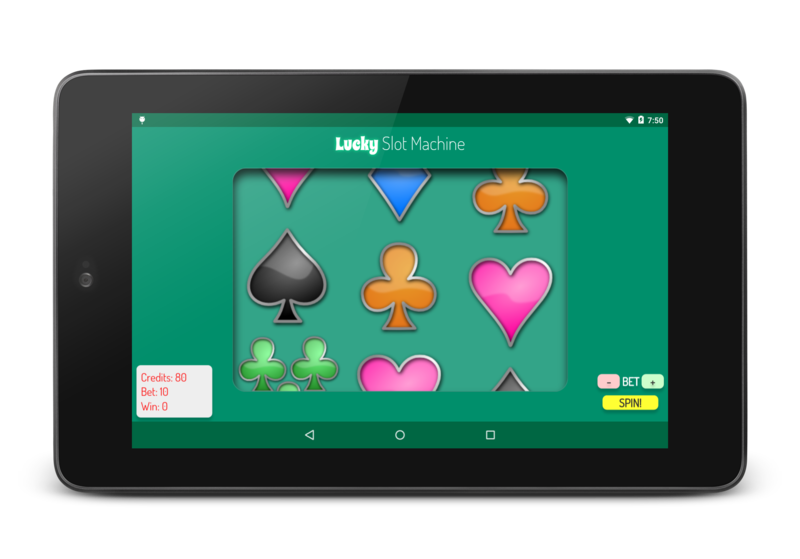 Lucky Slot Machine is simple to use and designed for users of all ages, from your kids to your grandma. There is no real money involved and no complicated decisions to make. Just set your bet, spin the slots, and win the fake money! Now get out there, enjoy the slots, and win some fake money!